What's a cute, shiny, perfect gift you can give anyone? This festive Silver Gumball Machine Bank gift set of course! This bank takes pennies, nickels, dimes, and quarters and rewards you with a gumball each time. Use the change you save to buy gumballs again and again and you have a gift that keeps on giving. The bank stands 9" tall and holds about 13 oz. 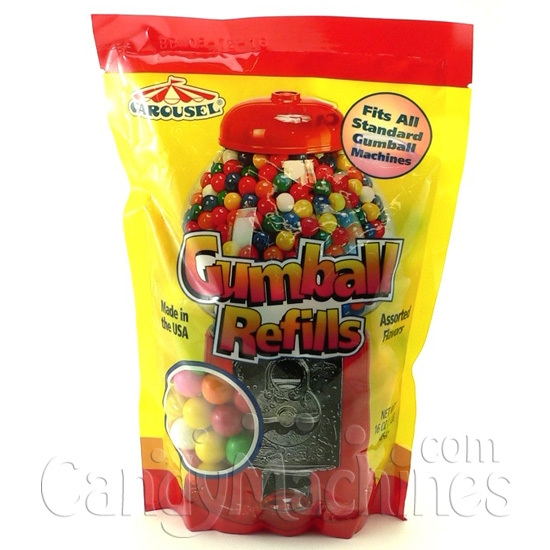 of candy or 1/2" Gumballs. One tub of Junior Gumballs (2117-T) fills this bank approximately 3 times. Included in the gift set is a 16 oz. 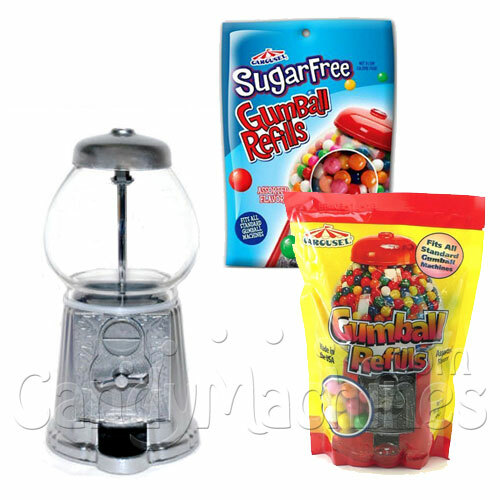 bag of your choice of regular or sugar free junior size gumballs. Please choose from the options above.